If you have ever undergone a move before, you understand how challenging it can be. Corporate relocations, like all moves, require organization and planning. Every detail needs to be addressed for the move to be a success and go as planned. 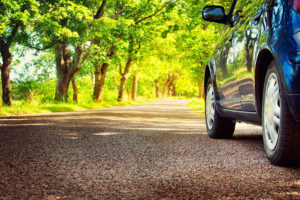 Not only must household goods find their way to your new home, but your car must, as well. Shipping your car does not have to add stress to the moving process. 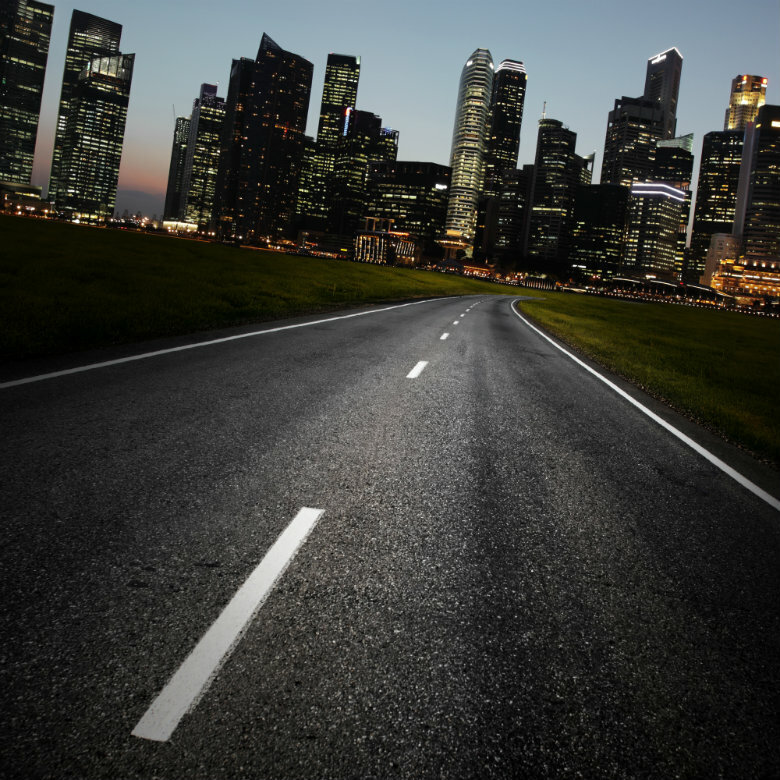 With the help of a professional car shipping company, a corporate relocation is a breeze. Auto transport services offer a worry-free solution to safely and easily get your vehicle to its destination. National Dispatch, a leading provider in the car moving industry, has created for you an outline to help aid you in your move. Whether you are moving to a new city in search of a job or already have a position lined up, this guide will help you. Here is how you can expect your corporate move to go. Outline your car shipping needs. Request a car shipping quote. Maybe, you have already been offered the perfect position. Therefore, your destination has been decided for you. On the other hand, if you are in search of a job, then your options are endless. When it comes to your job search, finding an employment opportunity is only half the battle. You also must couple this with a location that offers a reasonable cost of living with enjoyable amenities. You might be surprised what metropolitan areas actually offer job searchers with the best chance to find a job. While many large cities, such as New York City and Los Angeles, often come to mind. Are they really the best places to look for work and settle down? According to Glassdoor, many mid-sized cities are high on the list for the best cities to find a job. This is likely due to the booming job market, affordable housing, and overall job satisfaction. Here are some cities that made the list. The increase in job opportunities in these cities and many others have encouraged families and recent graduates to move to the region. When these cities boast an affordable housing market and a below average commute time, then you can expect a higher quality of life. What should you be looking for in your future city? Affordability. No matter how much your paycheck is, it is important to live comfortably. This means finding a city that is within your price range. Crime rate. You want to feel safe wherever you choose to settle down. Crime happens everywhere, but you can look at a few statistics to study up on particular areas. Commute. This is more than just your commute to and from work. How far will you be from your family and friends? Climate. Not everyone is suited for the cold, and not everyone can handle the heat of the summer. 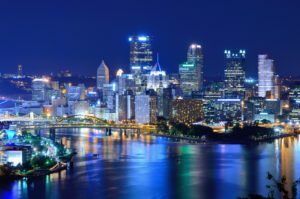 For this reason, it is important to find a city that suits your needs. Culture. The United States is large. Therefore, you will find many different cultures nestled within various regions of the country. Find one that fits well with your lifestyle. Even if you are not a person who usually plans things out, it is important to create a budget for your moving expenses. Moving will be less stressful if you have an idea of how much it might cost you, ahead of time, instead of going in blindly. Keeping track of expenses will help you realize what items are essential to buy now and what you can hold off on until a later date. Noting these expenses is also necessary if your corporation will be paying for or reimbursing you for your moving costs. Creating a moving day budget may seem like a lot of work. It may be a time-consuming project, but it is well-worth the invested time and energy. Here are a few areas that are necessary to include with your moving budget. Travel Expenses: This will vary depending on whether you are moving yourself or having a professional auto shipper do the work for you. When moving yourself, you must consider the cost to rent a truck or trailer, insurance, gas and mileage, lodging, meals, and incidentals. If you choose to have a car shipping company transport your vehicle, insurance is factored into your car transport rate. In addition, you do not have to worry about meals, hotel stays, or gas. However, a plane ticket will be necessary. Packing Expenses: You will need to purchase boxes, bubblewrap, tape, and markers. To save money, you can ask your local stores if they have spare boxes. 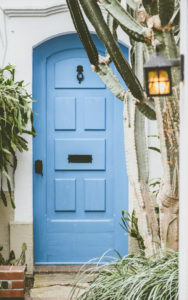 Home Expenses: When moving to a new home or apartment, you may be required to pay property taxes, utility deposits, pet deposits, or renter’s insurance. 3. Outline your car shipping needs. The whole idea of relocating to a new city can be daunting. However, you can greatly reduce the stress of a move by using corporate car relocation services. Whether you are moving a single car or multiple cars, it does not matter. National Dispatch offers services that won’t break the bank. 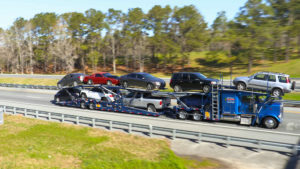 Before choosing car transport services, you must first outline your car shipping needs. Answer the following questions to get a better idea of what you need. 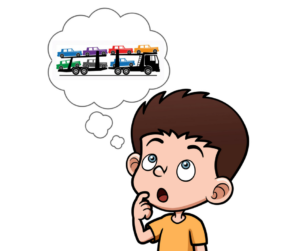 How many cars will you be transporting? What types of vehicle(s) do you own? How soon do you need your car(s) delivered? At National Dispatch, we work with both small businesses and large corporations, not just individuals. We understand the best and safest way to ship your car to its destination. Below, you will find a few of the auto transport services that we offer. Open auto transport is the standard method of transport for the car moving industry. Due to its popularity, this often means that there are more trucks available to make scheduling easier. This type of carrier is a great option, especially if you drive your car on a daily basis. This means that your car is regularly exposed to common external elements. Enclosed auto transport is another option when it comes to transporting your vehicle. These carriers are fully-enclosed. This gives greater peace of mind and complete protection from all hazards of the road. 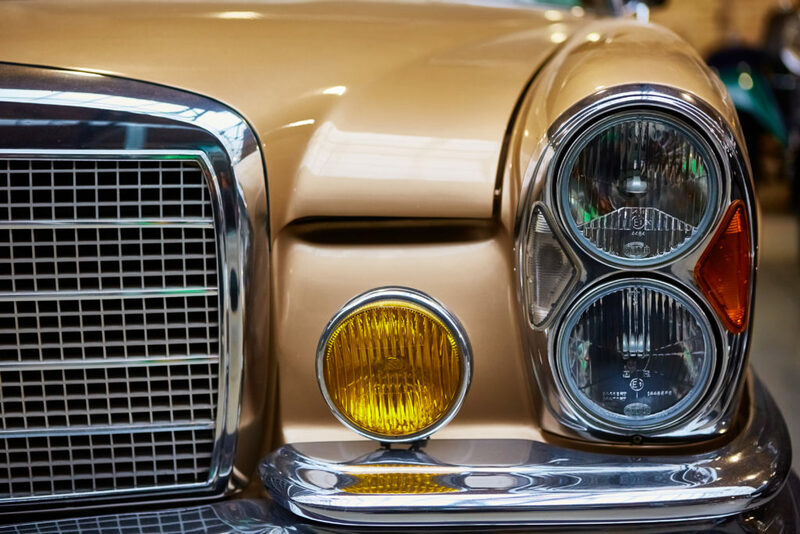 If you do not consider yourself to be a daily driver, as with a classic car owner, then enclosed car shipping is the way to go. Some enclosed carriers are even equipped with liftgates for a safer loading experience. If you are looking to get your vehicle directly to your home or business location, ask an auto transport agent about door-to-door auto transport in your area. This service removes the need for you to drive miles to pickup or deliver your car. Therefore, it offers convenience and alleviates added stress. If you are in need of fast delivery by a specific date, then our guaranteed shipping option is the one for you. This service is recommended when the customer is need of urgent auto transport. Keep in mind that this a more expensive shipping option. In the auto transport industry, there are thousands of companies to choose from. You want to be sure that you take the necessary measures so that you have the best car shipping experience, possible. With the car shipping industry, it is not really necessary to find a business that is local. Therefore, a face-to-face visit with the company may be out of the question. This means you are left to do your homework online. Here are a few tips for conducting your research. Look up the registration. As required by law, auto transport carriers must be licensed, insured, and bonded. You can look up a company’s DOT number by conducting an online search. Check online reviews. Reliable car shipping companies should have a good rating online from previous customers. You can check out Google Reviews to read what past customers had to say about their experiences. In addition, you can go to the Better Business Bureau. Go to their website. 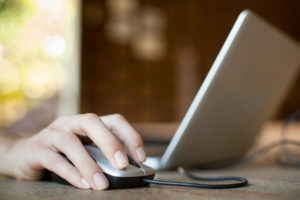 If you are thinking about doing business with a company, they should have a good online presence. This means that their site should look professional and well put together. Speak with a representative. Even bad companies can have a good website. After checking out the company online, you should contact an auto transport representative. Ask questions. The customer service agent should be friendly and helpful. Go with your gut. At the end of the day, you should choose a company that will be the best fit for you. If something feels off about a company, then it probably is. Leave it in search of another. If you feel uncomfortable after your search, how will you feel after handing over your keys? We hope that these points lead you in the right direction. Finding the right car shipper can be a challenge. However, you will feel better knowing that your car is in good hands. Learn more about How To Choose An Auto Transport Company. 5. Request a car shipping quote. If competitive car transport rates is what you are looking for, then you have come to the right place. 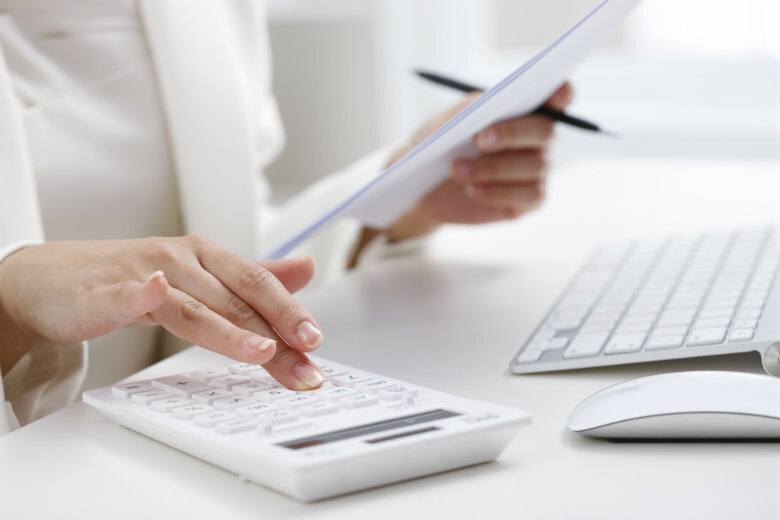 The easiest way to receive a quote is by using our online quote calculator. 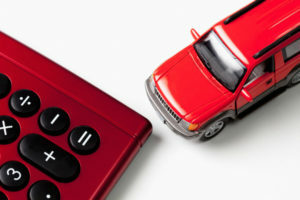 It requires some general information to determine the cost to ship your vehicle. What will be required of you? As you can see, only four simple fields are required to get an instant car shipping quote. Unlike other companies, we do not require personal information, such as an email or phone number. This is because we want to make the process as easy and quick as possible. Upon filling out this information, you will be instantly redirected to your car transport rate. On this screen, you can select other services, as needed. What services do we offer? The price of your quote is determined by a number of factors. Each quote is customized to our customer’s specific situation. Here are a few variables that affect the cost of shipping. Distance. This is the state to state rate, or how far the driver must travel from pickup location to delivery location. Cross-country moves will cost more than relocating statewide. Location. This refers to how close your destination is to the main highways. Is it an easily accessible location? If the driver has to drop the vehicle off at the top of a mountain, the cost of shipping may be higher. Season. The busiest season for auto transporters tends to be the summer. Rates may be reflective of this increase in demand. Carrier Option. As we have already discussed, there are two carrier options. Enclosed carrier shipping is the more expensive of the two. Urgency. How soon do you need your car? In general, it is a good idea to give the auto transport company plenty of time to arrange transport services. National Dispatch is a nationwide car shipping company with a company-owned fleet. Our corporate car relocation services are ideal for individuals relocating to a a new city, as well as businesses moving a portion or their entire corporation. 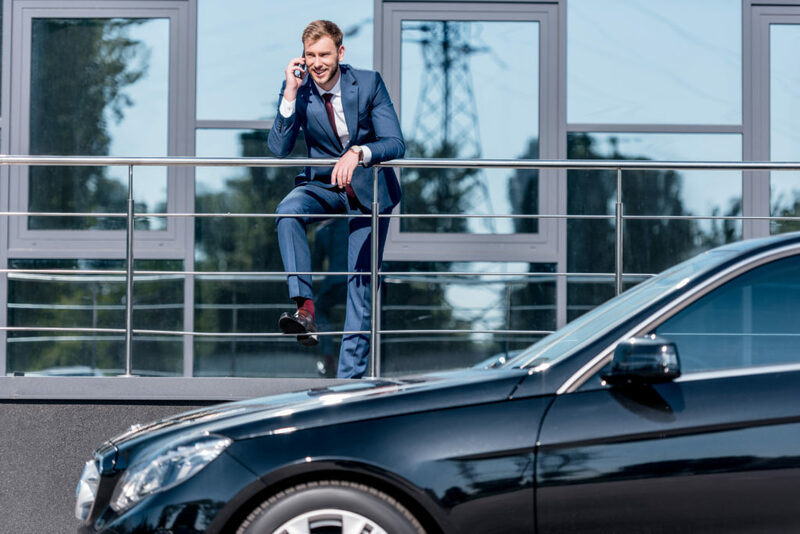 Whether you need a single car or a fleet of cars transported, we have got you covered by offering several type of carrier options. Our professional and experienced staff coordinate all the details of your car shipment, from start to finish. This makes for a hassle-free car shipping experience. Call us today at 800-321-2051 or go online for a free, instant car shipping quote. No personal information is required. You can also chat with us online. Hiring an auto transport company is a great way to make a move less stressful. However, before shipping your car, you want to be sure that you hire the right company for the job. You do not want just anyone handling your vehicle. You want a reputable auto transport company that understands the importance of providing exceptional customer service. How can you go about finding the right auto transport company? Research is key to helping you determine how reputable a company truly is. Specifically, asking questions is the perfect way to find a company that is in line with your values and budget. After all, you don’t know unless you ask. Here are some of the most important questions to ask to have the best car shipping experience, possible. Is your company licensed and registered? 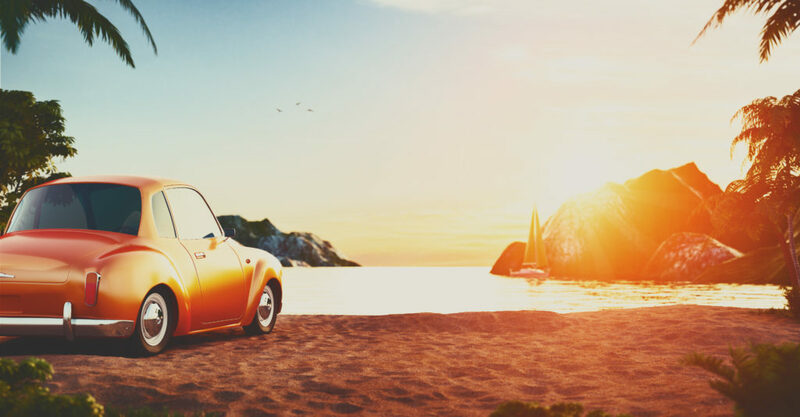 To ensure that you are dealing with a company that you can trust to get your car from Point A to Point B, you need to check to see that the company has all the necessary licenses. Any company that transports vehicles is required to register through the U.S. Department of Transportation. You can ask a representative for the U.S. DOT# for verification purposes. By obtaining this information, not only can you ensure that the company is licensed, but you can use it to view safety reports and such. You work hard to earn your money. Therefore, you want to ensure that you aren’t just throwing it away on a company that makes false promises. A reputable auto shipper should be upfront about how much it costs to use their services. Car transport rates vary depending on the situation, so you need to contact the auto transport company directly for a quote. While everyone prefers affordable services, it is important to keep in mind that price is not everything. If you choose to go with the cheapest option you can find, you may come to realize that you get what you pay for. Instead, choose a company that offers highly quality services. Most auto transport companies offer free car shipping quotes on their website. If they don’t, this could be a big red flag and a sign to look elsewhere. Why wouldn’t a company want to offer a future customer a complimentary quote? Here, at National Dispatch, we offer both a free and instant car shipping quote. Plus, our online quote form requires absolutely no personal information. Therefore, our car shipping quotes our 100% no obligation, and it only takes a few seconds to get one. Do your quotes include everything? This is very important. There is nothing worse than unexpected costs and charges. This can easily be avoided by asking the auto transport company for a list of everything that the quote covers. Ask the company, ahead of time, if there will be any additional costs to avoid the headache. Before you sign the contract, make sure you read everything over and understand everything clearly. Make sure that the charges are what you agreed upon. If there are any additional costs or penalties, make sure that you inquire about them right away. Why are you the best company to go with? There are thousands of auto transport companies to choose from. Although they may all serve the same industry, not all of them are alike. Every auto transport company should be able to tell you what makes them special. What sets them apart from the competition? You should aim to ship with a company that has an impressive track record of getting cars to their destination in a safe and timely manner. If you want to find out what past customers are saying about their experiences, read reviews from a trustworthy source. Will the vehicle be insured? Insurance is important when it comes to transporting a car. Before hiring an auto transport company, you should ask what is and is not covered and included in the cost of your car shipping quote. You want to be sure that you are covered during the transport of your vehicle. If an auto transporter does not offer the coverage you are looking for, this could be a major deal breaker. You will likely not want to take the risks of being responsible for any damages, if any were to occur. Do you have references that I can speak to? You do some research on your own to read online reviews and testimonials. However, ratings can be manipulated. Ask the auto transporter if there are any past customers that you can contact. This is one way to ensure that you are getting an honest review. It is not uncommon for an auto transport company to require some payment, in the form of a deposit, prior to pickup. In fact, this is the policy for most companies. If they require that you pay all the money up-front, then this may be a sign for alarm. 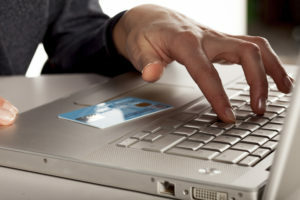 When it comes to payment methods, companies may differ. At National Dispatch, we accept a variety of payment methods, including all major credit cards. What are my shipping timeframe options? You are probably wondering about your delivery options. Most auto transport companies offer several different options, depending on your schedule and budget. In general, you want to book car shipping services in advance to ensure that you get what you need and give the company enough heads up. At National Dispatch, we offer 3 shipping options, ranging in price from least expensive to a little pricier. We have economy shipping, priority shipping, and guaranteed shipping. Priority shipping is the standard method of shipping, while guaranteed is recommended for those in more of a hurry. You will likely want to know how much it costs to ship your car from one part of the country to another and what goes into determining that price. Auto transport costs are determined by a variety of factors, including the type of vehicle, distance from the pickup to the delivery location, and the specific shipping options you choose. To learn more about how rates are calculated, read Car Transport Rates: Explaining It All. How do I need to prepare my car for shipping? 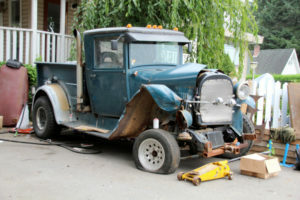 Before shipping, you will likely need to complete some steps to prepare your car for transport. What does this entail? You will need to give your car a thorough cleaning, remove all personal items from the car, and ensure that the tank is 1/4 full. Check with the auto shipping company for any additional recommendations that they may have. Also, read our Preparing Your Car For Shipping In 10 Easy Steps. When will my car be delivered? Another common question you might have is regarding the length of time delivery takes. As we mentioned before, there are several different shipping methods to choose from. Therefore, delivery time will vary depending on which method you choose and how far away the driver must travel to deliver the vehicle. What documentation do I need to supply in order to ship my car? It is crucial that you are prepared for auto shipping with the appropriate documents. This will ensure that the auto transport process goes smoothly from start to finish. This can also help to prevent any delays. Ask the auto transporter, in advance, what type of paperwork is needed. Typically, you will be need to provide the auto shipper with the registration and title, along with proof of insurance and photo identification. Do I have to be available for pickup and delivery? Most auto transport companies require that someone (over the age of 18) be present at the time of pickup and delivery. This is because keys must be collected, important paperwork must be signed, and an inspection report must be completed. It is important to be respectful of the auto transporter’s time. If you cannot be present for the pickup or delivery of your vehicle, make sure you stress to your friend, neighbor, or family member the importance of being there on time. How will my car be transported? When it comes to shipping a car, there are two primary methods that you can choose from: open or enclosed carrier shipping. Each auto transport method has their own advantages and disadvantages. Therefore, it is up to you to decide which option offers the best investment. While open auto transport is more economical and is the standard in the industry, it does not protect your car from an array of external elements. Enclosed auto transport is the better option if this is a concern. However, it is more costly in comparison to open auto shipping. Can you move my personal belongings? Although it would be much more convenient to have your auto shipper transport your household goods along with your vehicle, most companies do not allow this. It is recommended that you remove all personal items from the vehicle. However, you can leave your car’s spare tire and jack. Failure to remove these items could result in added fees or delays, and nobody wants that. There is also the possibility that these items could become damaged or could cause damage to the interior of your vehicle. To avoid this, empty your car before auto transport. Can you transport non-running cars? It is important to know what the car shipping company you are looking at hiring specializes in. What can and can’t they do? Most auto transport companies can ship the typical cars, trucks, and SUVs. What about cars that do not run? Inoperable cars present more of a challenge, because these vehicles require special equipment for loading and unloading purposes. National Dispatch has the means necessary to transport your car, regardless if it runs or not. Just be sure that you provide this information to the auto transporter when you place your order, so all the appropriate preparations can be made. This question may not seem to hold much significance, but by asking it, you gain some insight into whether or not the company has a physical address or not. You might even come to learn that the company is located not too far from where you are located. National Dispatch’s headquarters is in Cocoa Beach, Florida. However, we are a nationwide car shipping company. This means that we can ship your car anywhere you need it to go within the United States. Is door to door shipping available? One of the primary reasons why people choose to ship their car is because it is easier and more convenient than the alternative — driving. If you are looking for an auto transport service that makes your life simpler, ask your auto shipper about door to door shipping. Door to door shipping is a hassle-free auto shipping service that can save you a lot of time. Instead of dropping your car off at a terminal, the driver will come directly to your home for pickup and delivery. What goes into the auto transport process? If this is your first time shipping a car, then one of the most important things to know is how exactly the process will go. Ask the auto transport representative what you can expect the auto transport process to be like, from start to finish. With National Dispatch, our team of trained professionals are always happy to assist you by answering any questions you may have. Call us or use the chat feature on our website. National Dispatch is a nationwide auto transport company with a company-owned fleet. If you choose to ship with us, you can expect excellent customer service and competitive prices. We make the safety of your vehicle our top priority. Therefore, you can have peace of mind knowing that your car is in the best hands. Request a free, instant car shipping quote using our online quote calculator. No personal information is required to get a quote in seconds. If you prefer to speak with an auto transport representative, call us at 800-321-2051. We look forward to hearing from you! Moving is an exciting experience. Not only does it offer you the possibility for better job opportunities, but it provides you with a change of scenery. It offers a fresh start in a new town, one in which you will make new memories with your family. However, moving is also a big undertaking, one which can be rather stressful. Moving requires a great deal of planning and organization, as well as time and effort. You must pack up all your belongings and move them to a home in a new city. It becomes even more challenging when your new home is across the country. When moving to a new home that is located hundreds or thousands of miles away, it is important to make the transition go as smoothly as possible. We have 10 tips for helping to make your cross-country move an easy one. One primary difference between a cross-country move and one that is across town is the distance. This means that everything must be transported in one trip. 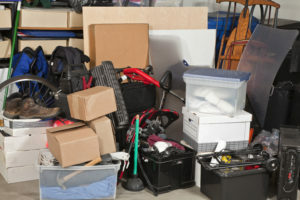 It is not as easy to make multiple trips between homes, if you forget something. Therefore, it is important that you plan ahead to give yourself plenty of time to pack up all your belongings. How soon should you start preparing for your move? When it comes to moving, the sooner you start on your To-Do list, the better. Prepare now, so that you are not scrambling to get things done at the very last minute. There is so much to do. You must hire a moving company, make travel arrangements, and book auto transport services. Remember that you also must take care of utilities and complete a change of address form. Regardless of where you are moving to or how far away it is, there will be a long list of things to do. When moving, the number of tasks that need to be accomplished can be overwhelming. To stay organized and remain on track, make a checklist. This will keep you on schedule and help reduce stress. Furthermore, separate tasks by deadline, or when they must be completed by. Set up goals for what you would like to accomplish each day and each week leading up to your move-in day. Decide the best way you stay organized, whether that be using technology or printed material. There are several apps that you can download on your phone to keep you organized in addition to using the calendar on your cell phone. 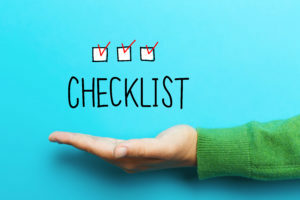 If you prefer tangible material, then make your own printed checklist or use an online template. It is important to note that moving across the country is more expensive than a local move. To reduce stress and avoid “sticker shock”, take some time to calculate the exact costs to move to your new home. 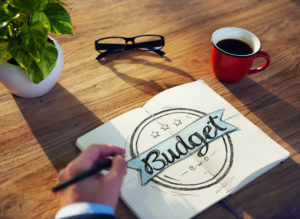 Set a budget, and establish a plan on how you will stick to that budget. If you plan on hiring a moving company, request an in-home consultation to estimate moving costs. You can search around and compare pricing by getting several quotes from different companies. Remember that pricing will vary depending on distance and the size of your home (which determines labor needs and truck size). When it comes to auto transport, most companies offer a free quote form on their website. However, like companies, not all quote forms are created equally. National Dispatch makes it very easy to get a quote in seconds, without putting in any personal information. If you are moving for a new job, find out if your new company offers a relocation package. They may be willing to cover some or all of the costs associated with your move. 4. Determine How You Are Moving. There are several options available to you when it comes to moving to a new home. Primarily, you have two main options: the Do-it-yourself option or the professional option. If you choose to Do-it-yourself, then you must pack everything in your car and drive across the country. Alternatively, you could rent a moving truck, but this method also requires an extensive amount of drive time. Car shipping is the perfect option if you choose to rent a moving truck, as you will also need a way for your car to reach its destination. If you choose to hire a full-service moving company, then everything will be done for you. All your belongings will be loaded and unloaded for you. This is very similar to how auto transport works. By hiring a car shipping company, all the hard work is done for you. This gives you more time for more important matters, instead of being stuck behind the wheel for hours at a time. 5. Get The Right Supplies. Do not underestimate the cost of packing supplies. To properly protect your household goods on their journey, you must have the appropriate boxes, tape, and packing material (Bubble wrap, packing paper, etc.). All these supplies can add up, especially when you think about how much stuff you have to move. It is important to pack your belongings in sturdy boxes that will hold the weight of your items and can handle being loaded and unloaded. However, there are some ways that you can save on packing supplies. If you know a family member, friend, or co-worker who recently underwent a move, ask them if they have any supplies to spare. You can also find inexpensive, or even free boxes, at your local liquor stores, banks, offices, schools, and manufacturing plants. Check around. You could end up saving a lot of money. Instead of investing in packing paper, bubble wrap, and newspaper, use what you have. You can wrap breakables in towels, sheets, or any other cushioned material. 6. Throw Out Unwanted Items. When you start to pack your belongings into boxes, you may come across some things that you do not want or need anymore. Pack only the items that you see yourself using in the future. Get rid of the rest by donating the items to charity or by organizing a yard sale. Not only can you make a few bucks off the stuff you sell, but you will have a lot less to carry to your new home. It is also important to keep in mind that moving companies often base their estimates on weight or the amount of space that your belongings will take up. This is because more items mean more labor and a bigger truck. To save money, sort through your belongings. Make piles for what you are “keeping”, “donating”, “trashing”, and “selling”. Due to the distance involved in a cross-country move, your belongings will be on the road for a longer period of time than if you were moving, locally. Therefore, it is even more important to ensure that your belongings are packed safely, so that they arrive damage-free. Tape down the bottoms and sides of each box. Pack fragile items with newspaper, bubble wrap, or packing paper. Fill in empty spaces, so that the items cannot easily move around. Label boxes containing fragile items with “FRAGILE”. In addition to taking these safety measures, create your own labeling system. Write on the outside of the box what it contains. It is also a good idea to label which room it is going to. You can even make your own color code system to make the move easier and faster. Cleaning is essential before moving to a new home. If you are like most people, you have probably put off giving your home a deep cleaning for quite some time. Go room-by-room to complete a thorough cleaning before moving out. This is important if you plan on selling your home. It will be ready for future residents. Leave the home in the condition that you would like your new home to be in. 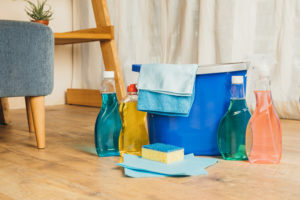 It is also important to clean the home to which you will be moving to. Cleaning will ensure that your family feels at home in the new place. Clean the kitchen, vacuum the floors, clean the bathrooms, and wipe down the cabinets and shelves. 9. Choose The Best Time To Move. Most industries have a peak and off-season. This is true for moving and auto transport companies, as well. The peak season tends to fall during the summer months, between May and September. This is when children are out of school, and the weather is ideal. What does this mean for you? This means that there is a higher demand for auto transport and moving companies to move their belongings. These companies will book up faster. The costs may also be higher due to the increased demand and lower availability. What can you do? If possible, book services during the off-season to save yourself money. However, if you are moving for a job, you may not have a choice of when you move. In these cases, it is important to book auto transport services, as well as any moving company services, well in advance. This will ensure that you get what you are looking for before they all book up. 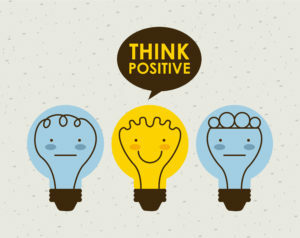 The most important tip is to remain calm and stay positive. A cross-country move has its challenges. With those challenges comes stress. It is important to remember that moving is a process. Instead of focusing on the frustrations of a move, look forward to making memories in your new home. Keep in mind that shipping your car is one way that you can save yourself a lot of time and stress. Instead of traveling hundreds, if not thousands of miles, to your destination, have your car transported with the help of National Dispatch. With our door-to-door auto transport service, your car will be picked up from and delivered directly to your home. Hop on a plane. In the meantime, your car will be shipped to your new home, safely and quickly. You can be rest assured that everything is taken care of. At National Dispatch, we are dedicated to providing quality auto transport services at an affordable rate. We ship cars anywhere in the United States for more than just residential moves. We also provide car shipping services designed for corporate relocations, vacations, dealership trades, and much more. For more information on our corporate relocation services, read our Corporate Relocation Guide. Below, you will find a list of some of the car shipping services that we offer. Open Auto Transport: This is the primary method of transport via an open-air carrier. These carriers can hold up to nine vehicles at one time. You may request top-loading (at an added fee), as an extra safety measure. Top-loading is when the car is positioned on the second level of the carrier, out of contact with road elements and debris. Learn more about Open Auto Transport. Enclosed Auto Transport: With this method of transport, the car is loaded onto an enclosed carrier. An enclosed carrier shields the vehicle from road elements and weather conditions. This method is recommended for high-value vehicles, such as luxury, exotic, and classic cars. Learn more about Enclosed Auto Transport. Door-To-Door Shipping: This service provides added convenience. Instead of having to drive to a designate pick-up and drop-off terminal, the car will be delivered directly to your home. Learn more about Door-To-Door Auto Transport. Guaranteed Shipping: Do you need your car shipped as soon as possible? We offer guaranteed shipping for those on a strict time schedule. Contact us for more information. National Dispatch has years of experience in the auto shipping industry. Relax, and have peace of mind knowing that your car is in the best hands. Book auto transport services, today. If you need car transport services, cross-country or otherwise, we encourage you to use our online quote form. No personal information is required. Just four simple fields of information. If you prefer to speak with an auto transport representative, call us at 800-321-2051. Why Request A Car Shipping Quote? One of the first things that you think about when shipping a vehicle is how much it will cost you. You want to be sure that you are getting the best deal. This is likely the case with any service that you may purchase, within or outside the auto shipping industry. If you are like many others, you have set aside a particular budget for your auto transport needs. All there is left to do is find the right company who you can trust to take care of your car and whose services fall within your budget. This can be accomplished through research and price comparison. Can I Trust This Car Shipping Company To Take Care Of My Car? 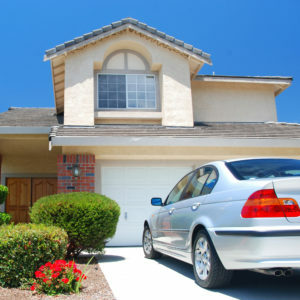 You probably consider your home and your car to be two of the most valuable possessions you own. This means that hiring an auto shipper to transport your car to another state requires a lot of trust. You need to know that the car shipping company you chose is reputable and has established policies to keep your car safe during transport. How and where can you check the reputation of a car shipping company? To check the reputation of a company, you can look at ratings. Read customer ratings on Google. You will want to find out information on how helpful the staff were, the timeliness of delivery, and the overall quality of the services. Did the customer have a positive experience? Would the customer ship their car with the company again? Another good site is the Better Business Bureau. It is a legit source for checking ratings and credentials, because it cannot be manipulated. Is My Time Important To This Auto Shipper? When hiring an auto transport company, you will want to find one that will value your time. The auto transport company should deliver when promised. If not, you might be stuck paying taxi fares or rental car fees until your car arrives. You need to ensure that their top priority is on providing excellent customer service. By doing so, you will find an auto shipper that puts their customers first. Will My Car Remain Safe During Transport? Not only is it important to find out the reputation of the company, it is also important to know what practices they have in place to keep your car safe during transit. A good auto shipper will have a reputation of safe, on-time deliveries. They make safety their first concern by hiring the best drivers, who are qualified, knowledgeable, and trained to handle a number of situations. 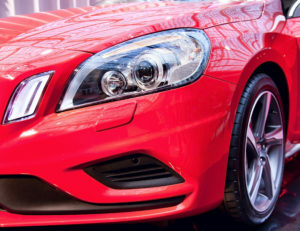 In addition, they have top-quality auto transport equipment to keep your car safe. Many auto transport companies even offer services, such as enclosed auto transport, for extra protection. 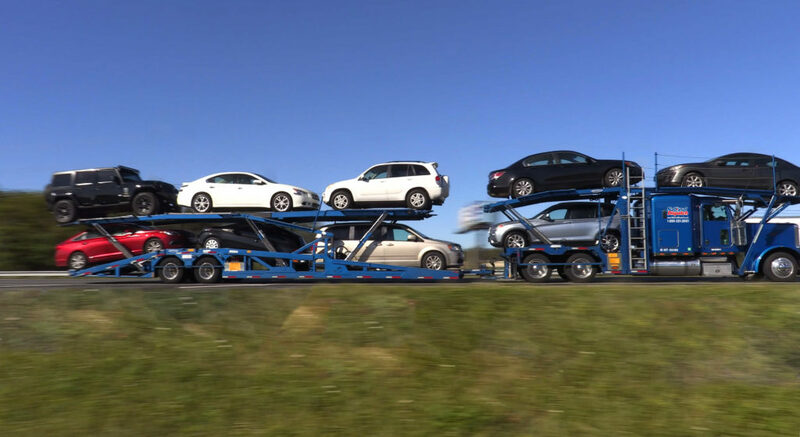 After you have completed some initial research on the auto transport company, you will want to gain a few car transport rates for price comparison purposes. However, it is important to keep in mind that not all car shipping quotes are created equal. While most auto shipping companies have a free quote calculator on their website, not all companies make it easy to receive a quote. When trying to obtain a quote, you should watch out for untrustworthy companies. These would be the companies that make it extremely hard for you to get a quote. Many of these types of companies require that you put in personal information, such as your email, phone number, or address. Why do they make it so difficult to get a quote? All you want to know is their prices. In reality, no personal information is needed to receive a car transport rate. Therefore, a company that asks for this type of information, may only be trying to do one of two things: sell your information or get you on the phone. After getting your personal information, a company could give your information out to a third party. We hope that this is not the case. What is more likely is that the company wants to get your information, so that they have a more direct way to contact you. After getting your email or phone number, they can more easily sell their services. 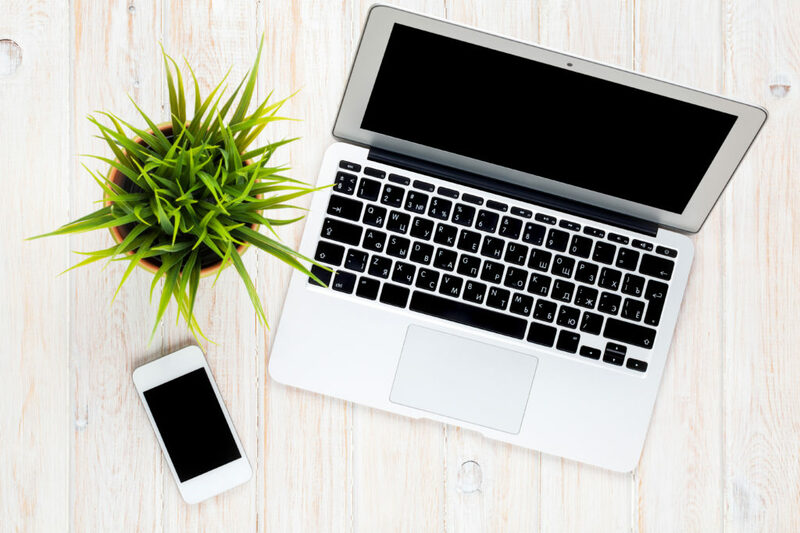 While this is not necessarily a bad thing, you may not want a bunch of pesky phone calls or emails. How Is National Dispatch’s Quote Different? At National Dispatch, we believe that our reputation and quality of customer service speaks for itself. That is exactly how it should be. This is why we make it very easy for potential customers to get a quote that is fast. When you are on our website, you will find our car shipping quote form. Only four fields of information are required. That’s right, just four! You will need to enter your vehicle make, vehicle model, pickup location, and delivery location. Upon entering in this information, you will be instantly redirected to your car transport rate. On this page, you will find rates for our three different shipping options: economy, priority, and guaranteed. You can also select transport carriers, as well as notify us of the condition of your car (running versus non-running). This can all be completed on the same screen. What Is My Car Transport Quote Based On? After receiving your car transport quote, you may be wondering how the auto shipper came up with those prices. In general, car shipping rates are based on a variety of factors. The following are the main sources for how your car shipping quote was generated. Distance is one of the primary factors when calculating a car transport rate. It generally works, the farther you go, the more expensive car shipping will be. This is do to mileage and the amount of gas required to get your car to a particular location. Therefore, coast to coast auto transport is typically more expensive than if you were to ship your car a few states away. Where exactly do you need your car shipped to and from? Are these locations more rural or urban? This will have an impact on your car shipping quote. Transport carriers frequently travel on major highways, which connect states across the nation. When the driver must stray from these highways, there is a possibility for rates to go up. To determine how much it will be to ship to or from your particular area, use our online quote calculator. All car shipping quote forms will ask for information on the vehicle. The make and model notifies the transporter of the size of the vehicle. From this, they can estimate how much room the car will take up on the carrier. In addition, the weight of the car can be estimated. Therefore, it will cost more to ship a SUV than a sedan, because a SUV takes up more space and weighs more. You may also be asked to supply information on the vehicle’s condition. This would be whether the car is operable or inoperable. Inoperable cars can be transported, but special equipment is needed to do so. It is important to notify your auto shipper of the condition of your car. Failing to do this could lead to delays or added fees. There are two main types of transport carriers used to ship your vehicle to its intended destination. You can opt to use either an open carrier or an enclosed carrier. Depending on which one you choose, you will see variations in pricing. Open auto transport: This is the standard method of shipping a car. When you are filling out a quote form on National Dispatch’s website, this transport type will already be selected for you. Using open auto transport means that your car will be loaded onto an open-air carrier. Due to the construction of the carrier, your car will be exposed to the weather and road elements, comparable to normal driving. Enclosed auto transport: This method of transport shields the car from all weather and road elements, because the car is placed in an enclosed carrier. It is recommended for individuals intended on shipping their classic, luxury, or exotic car. Due to the additional protection it provides, you can expect to pay more for this service. Like any industry, the auto shipping industry has its busy times of the year. This typically tends to be in the summer time. 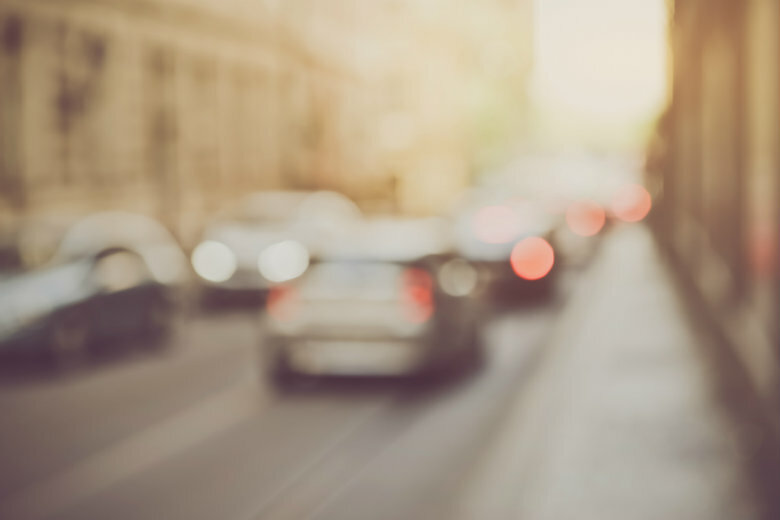 People move more often during this time of year, as children are out of school. Why is the season important when creating an auto transport quote? It is important, because of supply and demand. Prices go up when more people are in need of the services. This is why it is recommended to book well in advance, so that you get the scheduled delivery date that you want. Since the season affects pricing rates, most quotes are only good for a certain period of time before booking. Contact the company directly if you have questions about their rates. Why Shouldn’t I Choose The Cheapest Option? We have already stressed the importance of getting a quote from an auto transport company. To view all your options, you will likely request a quote from more than one company. When doing so, you will find that car shipping rates differ from company to company. You may see a range of prices, from the low end to the high end. How do you know which one to go with? You want to go with a company that offers affordable car transport rates that fall within your budget. You do not want to be pushed outside your comfort zone, paying for a service that you do not feel that you can afford. National Dispatch not only offers affordable car shipping prices, but we offer different shipping time frames to help meet your specific budget and schedule. If you are willing to compromise on your shipping window, then you can save money by choosing a less expensive shipping option. You are putting a lot of trust and responsibility into the hands of your auto shipper. Therefore, you want to be sure that you hire the best company for the job. 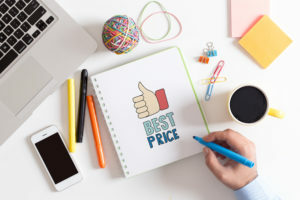 This means that you should be weary about going with a company that has prices far below what other companies are charging. After all, you get what you pay for. National Dispatch is a top provider of auto shipping services. We ship all types of cars, including trucks, SUVs, vans, and motorcycles across the nation. We can even ship your classic, exotic, luxury, or sport car. Do you have a car that does not run? That is no problem for National Dispatch. We have the expertise and equipment needed to ship your car, whether it runs or not. At National Dispatch, we put our customers first. This is why we often receive repeat business from our customers. Our customer base is extensive, including military personnel, dealerships, business professionals, families looking to relocate, vacationers, construction teams, and more. We can handle all your auto transport needs, not just those needed for a residential move. We ship cars to auto shows, from auctions, and even those purchased out of state. Our customers rely on us to get their car to the destination in as safe, timely manner. Want to find out how much our auto transport services will cost you? Request a free, instant car shipping quote using our online quote calculator. No personal information is required. If you prefer to speak with an auto transport representative by phone, call us at 800-321-2051. We look forward to hearing from you!